One thing that seldom gets talked about in the world of science is the notion of tacit knowledge – that is, know-how that is only, and sometimes can only, be passed on through direct experience. A recent example was described in the journal Nature (Vol. 514, pp. 139 – 140 (2014)). It concerned measurements of the quality of sapphire, now used to make laser mirrors. Russian scientists were claiming very high precision that Western scientists were unable to match, and accusations of false claims abounded. There is a rather similar trick from the world of cooking. 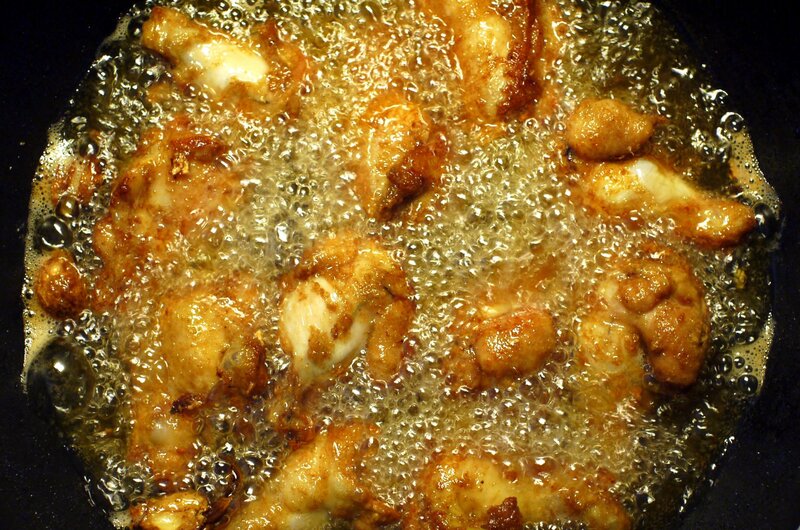 It is to save some used frying oil, and add a little to fresh oil before using it. This helps to prevent fish and meat from sticking to the bottom of a non-Teflon coated frying pan, because the breakdown products from the previously heated oil attach themselves to the metal to form a thin, anti-adhesive, film. There must be many similar tricks around, often unmentioned in recipe books. And when it comes to replicating scientific results, what else is one doing but following someone else’s recipe? It’s just that it helps to have all the ingredients – and all the steps. Len, have you read any of Harry Collins’ books? He’s a sociologist of science from Cardiff University, he has written explicitly about tacit knowledge; I’ve not read that book so I think he must have mentioned it in one of his others, probably Gravity’s Ghost. Thanks Phil. Haven’t actually read that one, probably because I have some issues with Harry and his approach to the sociology of science, but will certainly have a look.